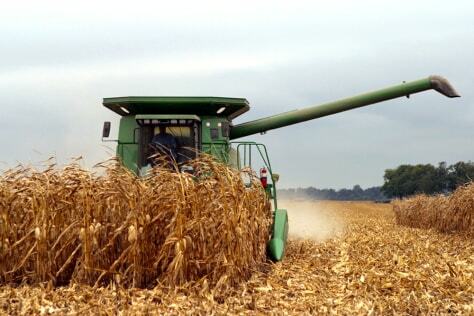 Todd Bradley operates a combine in Wood County, in northwest Ohio. Bradley is the only full-time employee on the 3,000-acre farm of Dan Wilson. In the off-season, both men drive trucks to supplement their incomes.